A high quality load carrier for safe and secure transportation of roof loads. The aerodynamically shaped wing profile has been optimised to give minimal air resistance and wind noise, which makes the car journey more comfortable. The aerodynamically structured wing profile has been designed to give minimal air resistance and wind noise- which makes your experience more comfortable. The load carrier makes it easy to install Volvos roof boxes- bicycle holder and cradle for the active lifestyle. Together with the integrated torque wrench it can be easily adjusted for proper fastening- which increases the vehicles overall safety. Easy to install and remove. Attractive Volvo design. Aerodynamic wing profile with T-track. Ergonomic adjustment with integrated torque wrench and lock. 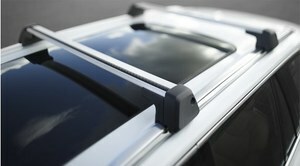 Can be installed on vehicles with roof rails. 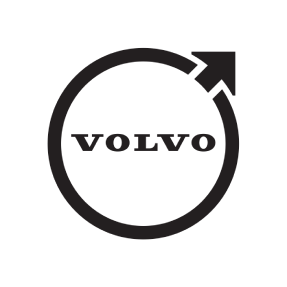 All Volvos loading accessories are suitable. However- some loading accessories require T-track adaptation. Volvo marked. Lock included (including four keys). Lock kit can be installed and allows use of the same key for the load carrier and roof load accessory. City Crash tested.